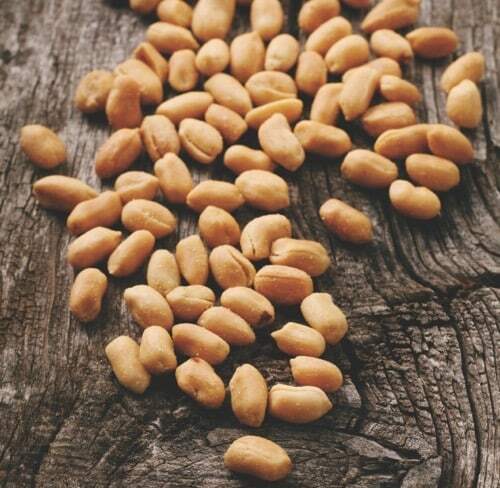 The National Institutes of Health is aiming to significantly reduce peanut allergies with new guidelines that call for introducing peanut products to infants. Peanut allergies are a growing problem and can be severe or life threatening. The old advice was against exposing babies to peanut products. However, a landmark study prompting the new guidelines found that regular consumption of peanut products in early life is a good thing. Giving kids peanut-containing foods starting in infancy to age 5 led to an 81 percent reduction in the development of peanut allergies. About 2 percent of children have a peanut allergy, and there is no treatment. In the worst cases, the allergic reaction constricts the airway and can be fatal, though rare. The National Institute of Allergy and Infectious Diseases recommends introducing foods such as peanut powder in your baby’s food at 4 to 6 months if he or she is considered to be high risk for a peanut allergy. Babies with severe eczema and/or egg allergies are considered high risk. Babies at moderate risk can be started on peanut products at 6 months, and those with no history of eczema or egg allergy can be started any time. Dr. Rajeev Kishore, director of Allergy and Immunology at Akron Children’s Hospital, said it’s important for parents to consult a pediatrician or family doctor before introducing peanuts into a baby’s diet. If your baby is considered high risk, it also may be necessary to consult with an allergist. Never give babies or young children whole peanuts because they are a choking hazard. A simple way to introduce peanuts to babies is to puree a little peanut butter with hot water. — Harlan Spector is a Northeast Ohio writer, editor and communications consultant. He formerly was a reporter and editor for The Plain Dealer, where he covered health and medicine for more than a decade. This article originally appeared on Akron Children’s Hospital’s parenting blog Inside Children’s at inside.akronchildrens.org.